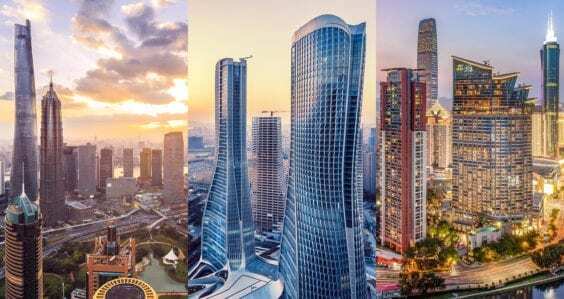 According to The Economist, Perth is one of the most liveable cities in the world, yet it still struggles to shake its “Dullsville” tag. Chapman in action on one of her Oh Hey WA walking tours. 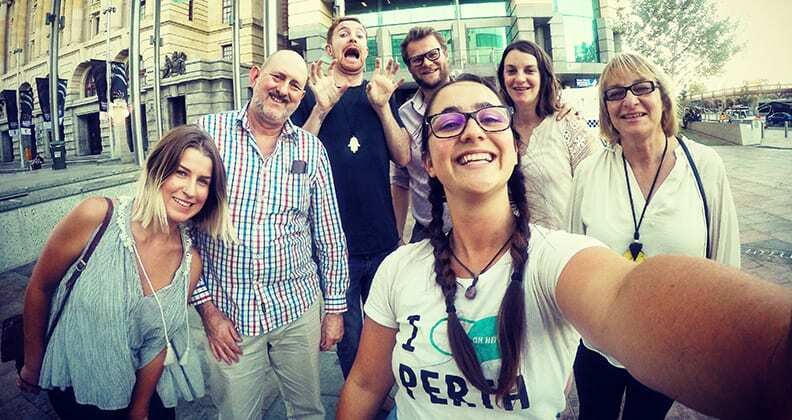 Curtin alumna Adie Chapman is on a mission to change the way we view and engage with Perth with her day and night walking tour business, Oh Hey WA. 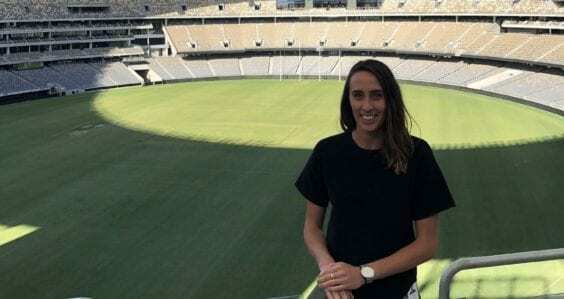 So enthusiastic is Chapman about showing us Perth as we’ve never seen it before, she has turned away from a career as a mechanical engineer to forge new tracks for herself as Perth’s uber explorer. Oh Hey WA is ranked #2 on Trip Advisor for Perth’s best nightlife attractions. With Chapman’s booming voice and bubbly, genuine character, it’s not hard to see why her walking tours are so popular. 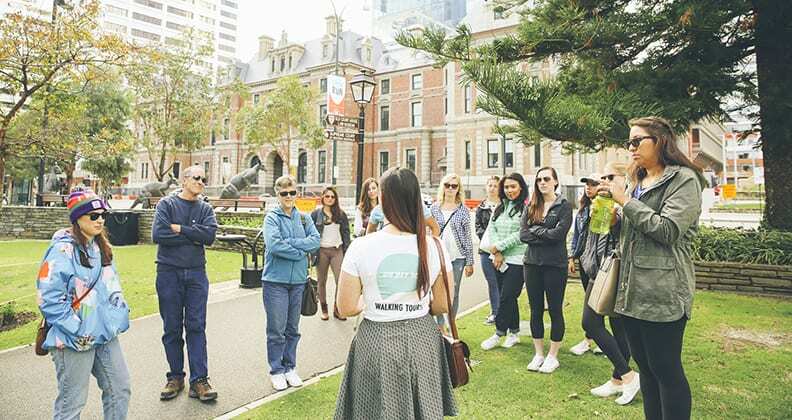 Chapman explains how she came to be a tour guide and why a walking tour is one of the best ways to discover, or rediscover, Perth city. What made you interested in becoming a tour guide? 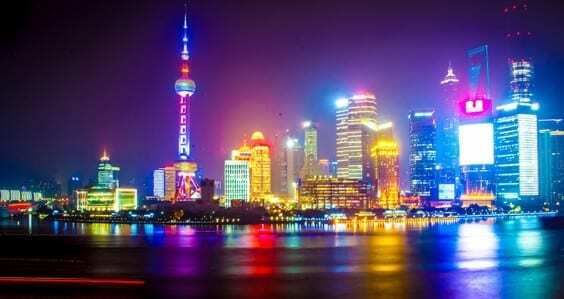 While studying mechanical engineering, I studied abroad in England for a semester, and that’s when I really discovered my passion for being a traveller. When I graduated in 2013, I travelled to the US and Europe and realised I loved doing the walking tours when I visited a country – they’re always the first thing I do when I go to a new place, and I always feel this connection with the tour guides. I particularly remember this walking tour I did in Edinburgh and I was blown away by it, and I remember thinking, ‘this is what I want to do, I want to be that guy’. Chapman’s Oh Hey WA tours show locals and tourists Perth city as they’ve never seen before. How did you establish Oh Hey WA? I’ve always been able to talk to people and had an interest in learning new things. I’ve never studied history but I’ve always found historical stories fascinating. I got in touch with another tour company in Perth and said, ‘Look, I don’t know any history of Perth, but I can learn it’, and so I started working for them, and after my first tour I instantly knew it was what I wanted to do. It never felt like work at all, and later I started to think, ‘I can do this for myself’. 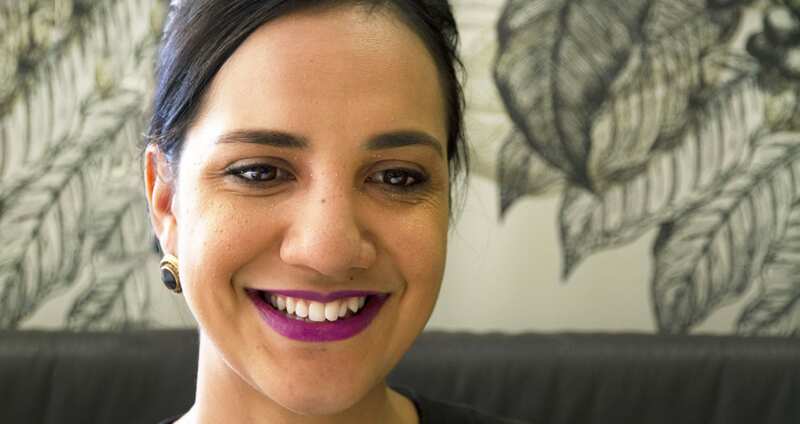 Then, the New Enterprise Incentive Scheme which is a government-assisted start up program that provides funding, qualified training and mentoring for new business owners, allowed me to start Oh Hey WA. 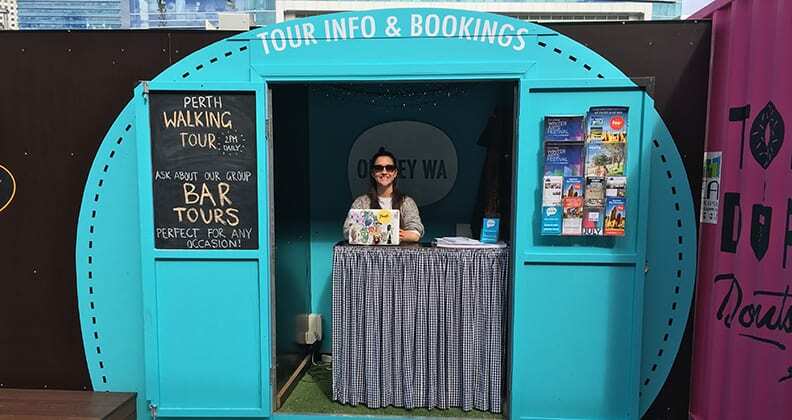 How is Oh Hey WA different to other Perth walking tours? My tours are my perspective of the city – they’re focused less on the history side of things and more on what’s happening now, so it’s a lot of art, bars, laneways, new developments and the revitalisation of the heritage precinct. The tours change all the time, so they are more contemporary than some other tours. What skills do you need to be a good tour guide? You need to be able to get along with everyone. You need to be able to talk to people for two hours and be engaging, friendly, smiling, enthusiastic and passionate about what you’re talking about. If you don’t care about Perth, that’s going to come across in your tour. Has there ever been someone you didn’t get along with? I once took an elderly lady on a tour who was really difficult. She was such a grump – she poo-pooed everything! Other than that, it’s been great. I almost love taking locals around more than tourists. They say they have walked past things everyday but never noticed them before. To see people connect with the city like that is really cool. What were some of the challenges in getting the business off the ground? I’m a very good tour guide, but not so great with the business side of things! I’ve always been in this for myself, so I’ve never had a partner or another tour guide to bounce ideas off, and that’s been hard because it limits the skills I have and what I’m capable of doing. Oh Hey WA’s new info and bookings booth located at Yagan Square. 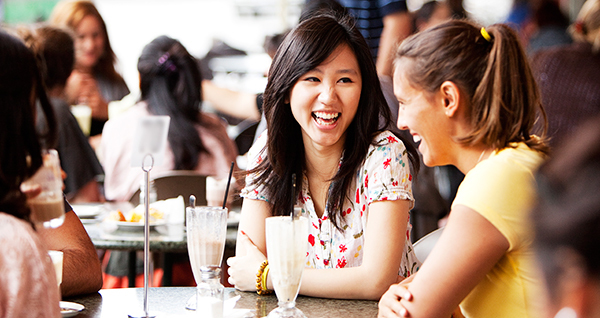 While at Curtin, did you learn any skills that have helped you to develop your business? I think uni really helped me to develop personally. You go there and you meet all these new people and you’re thrown in all these new situations. Engineering is a challenging degree and there’s times when you think it’s too hard and you want to give up, but you learn to push through and keep going. It also built my confidence as well because I was one of the only girls studying engineering so it helped me to speak up. Do you ever see yourself going back to a job in engineering? No, not at all. It’s not in my DNA! What are some of the memorable moments you’ve had as a tour guide so far? The thing I really enjoy is taking out locals and seeing them discover things they’ve never known before. Older people always have such interesting stories, too. I took my grandmother on my very first tour and she told me the story of the statue of Percy Button in Hay Street Mall. He was a street performer and was so dishevelled and hairy; my grandmother remembers him dancing around and how much everyone loved him. I call my tours ‘explorations’ because I do not profess to know everything about Perth, and there have been times on tours where someone has pointed out something and I’ve had no idea about it, and we will go and explore it together. The best part is getting the thanks from people, and seeing the look on their faces when we finish; 75 per cent of my tours end in a hug! It’s always so special when I see how much people enjoy the tours and their authentic reactions. 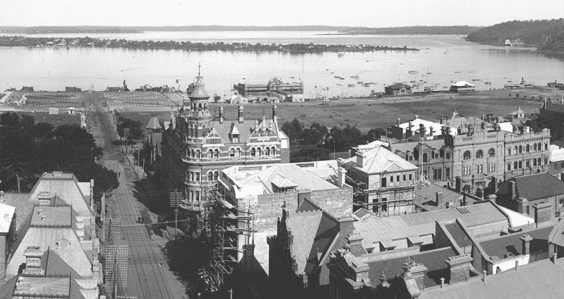 Some people say Perth is ‘boring’ or has ‘no history’. What do you say to that? Bravo my brilliant Adie. What a marvellous article about you and your tours. Grampy and I are just so very proud of you and your achievements. GO ADIE, is what we say! Well said Adie! What a fantastic perspective and a great article which highlights your incredible work and your enthusiastic nature! Myself and 3 friends did Adie’s Perth City Tour. She was brilliant. I have lived here my whole life and she taught me a thing or two!! This is fantastic 🙂 Seriously. Exactly what all major cities need. Makes me miss Perth… 🙁 Go Adie! When i come to Perth for a holiday, sure will want to rediscover Perth with your tour. This major is designed for enterprising individuals who want to start their own business or work as corporate entrepreneurs. Entrepreneurs can be found in many types of workplace. What they all have in common is ambition, hard work, an ability to think outside the square, and the love of a personal challenge.